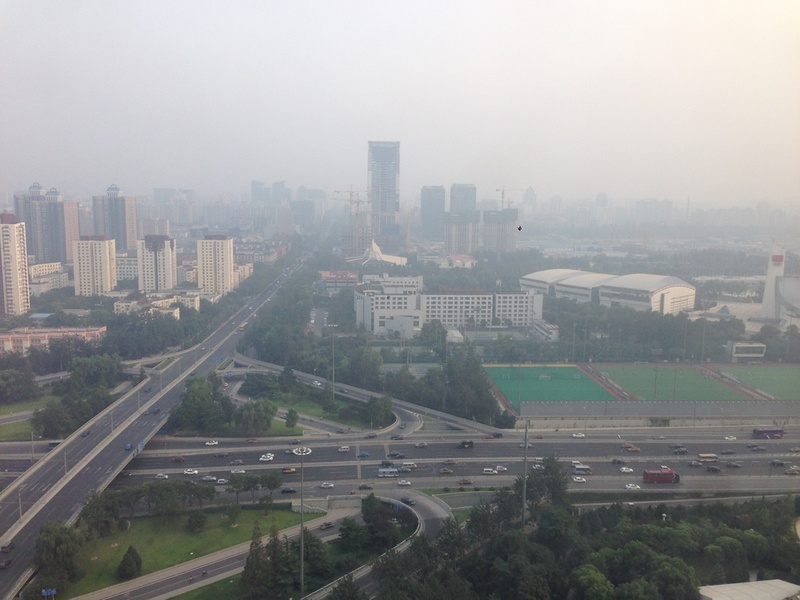 Thought you might like to see the view from the 24th floor of my office in Beijing, according to my iPhone app the pollution levels in Beijing reached 181 today ( I have been here when they reached 500 !) . As you can see from the screen shot at 181 it's recommended to close windows , wear masks and avoid outdoor activities for children and the elderly. Nice. Shot with my iphone , please excuse what looks like to be dust on the sensor .